Looking for a boutique that has it all? Today’s Keep Calm and Gift On feature is for YOU! 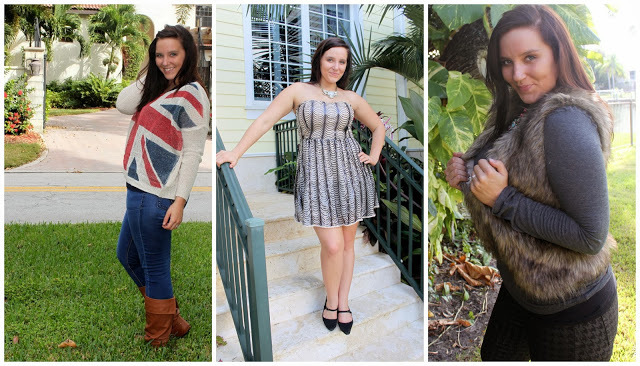 Remember those adorable game day dresses I was rocking back in the fall from Dress U Boutique? Well they have so much more than just game day gear! This shirt is quite possibly the most comfortable shirt I’ve ever owned. Best part? They’re only $10 each. You can never have too many staple items, right? These glitzy and glam necklaces are great for special occasions, but also great to throw on with a plain t-shirt to jazz up your daytime wear. Be sure to check out Hallie’s blog for some of her favorite items! You can also enter to win a $20 gift card to Dress U Boutique for you or someone on your shopping list! Just enter the Rafflecopter below and winner will be chosen next week… GOOD LUCK!